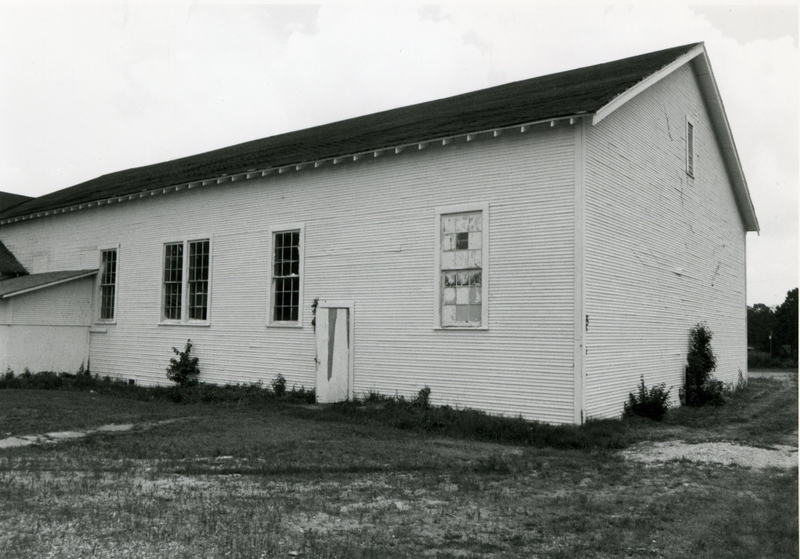 A building of at least eight rooms in addition to the gym, the Tom school is a single story, inverted T-shaped (160′ x 53′ horizontally, with 72′ x 50′ vertical extension for the gym) wood frame structure with clapboard siding. Now covered with composition shingles, the roof is gabled, with intersecting gables and valleys for the gym in the rear and the entryway on the front. The latter is supported with pedistals and shafts. End entryways are recessed, and wood sash windows are placed by twos. 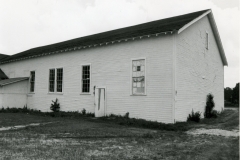 As a rural WPA school building, the Tom school is notable for the wood materials employed and its scale. 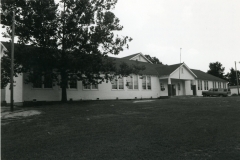 It is the largest school building encountered constructed of wood. Within the surrounding community the structure is unique architecturally because of its type, scale and workmanship. The building is significant because construction of it provided work opportunities for unskilled and unemployed laborers, most of whom were black, in a rural area where private enterprise had largely failed. 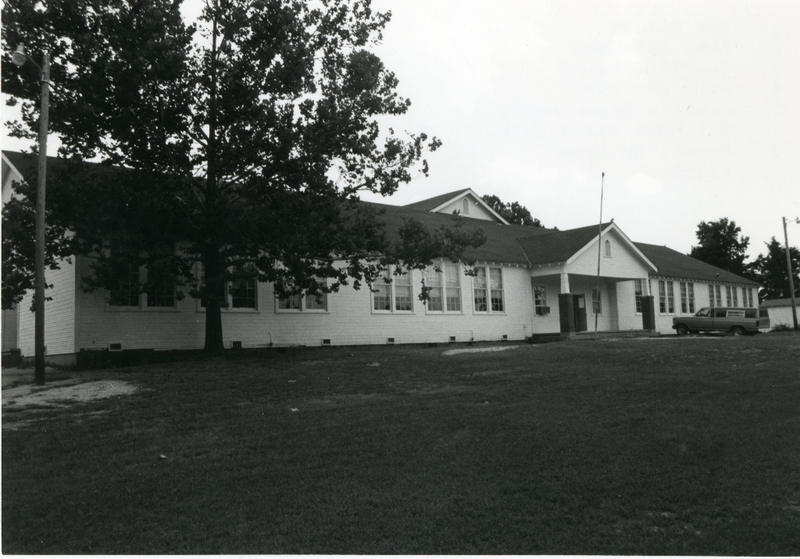 The building also promoted a new enthusiasm for learning, an enthusiasm that continues to this day and primarily for black students. VERBAL BOUNDARY DESCRIPTION: Go east on state highway No. 3 from Tom one-quarter of a mile to the school property on the south side of the road. Beginning at a point 1320 feet east and 330 south of the NW corner of Sec. 35, T 9 S, R 26 E, go south 330 feet, east 220 feet, north 330 feet, and west 220 feet.